In many cases, accountants are associated with boringness. Try to have conversation with them and a non-accountant will be bombarded with jargons such as IFRS, fair value and many other terms that can bore him to death. I am not sure how true this perception is. However, as many of us would acknowledge, there is always exception to the general rule. Motivated to be an accountant when a fast red Ferrari driven by another accountant (Azman Hashim) passed him, he went to the UK to pursue accountancy instead of medicine. From then onwards, the rest was history. 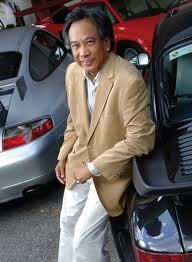 Datuk Ali Kadir, went on to be an illustrious accountant, regulator, corporate player, race car driver and philanthropist. Among his past achievements were being the Senior Partner of Ernst & Young, Chairman of the Securities Commission and President of the Malaysian Institute of Certified Public Accountants (MICPA). 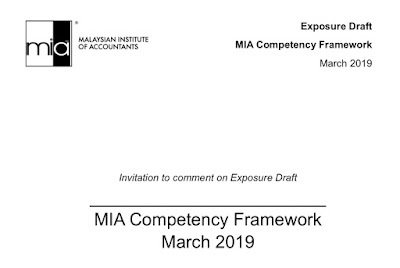 During his chairmanship, the Securities Commission launched the Capital Market Masterplan in 2001, which was the foundation of the development of the Malaysian capital market for the next 10 years. Off course not to mention his collection of fast cars which he could afford later in his life! 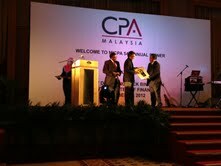 Recognising his contributions to the accounting profession and the society, Datuk Ali Kadir was awarded with the President's Award at the 54th MICPA annual dinner. Acknowledging his parents and colleagues who has contributed in shaping his to who he is today, the award is definitely another feather on a cap of this amazing accountant who dared to take the challenge and is another towering Malaysia who had contributed significantly in nation building. I suppose Datuk Ali is just continuing the legacy of his family tradition in public service. 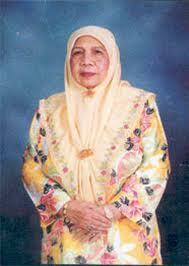 His father, Tan Sri Abdul Kadir Yusuf was the Attorney General and Law Minister and his mother, Tun Fatimah Hashim was one of the group that was involved in seeking independence from British. She then became the Welfare Minister, when her husband was also in the Cabinet. Being honoured on the eve of Malaysia Day speaks well of this family who had contributed to make Malaysia what she is today.